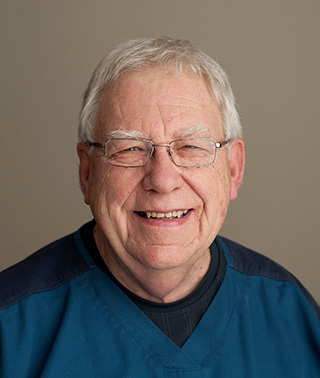 Jerry is a speech and language pathologist therapist at Riverwood who practices in Aitkin. Experience: 50+ years – Rockford Handicapped Treatment Center, Rockford, IL (4 years); Saint Cloud Hospital, Chief Speech Pathologist (25 years); Graduate school adjunct instructor, Department of Communication Disorders, St. Cloud State University (11 years); Contract Speech Pathologist for various nursing homes/hospitals in Central Minnesota, including 19 years at Cuyuna Regional Medical Center, Crosby, Minnesota. More than 30 years doing video fluoroscopy swallowing studies. Areas of Focus/Expertise: Extensive experience with neurological disorders affecting speech, language, cognition, and swallowing. Specialized services and techniques, including video fluoroscopic swallowing studies and Parkinson’s LOUD program.